This entry was posted in Uncategorized and tagged Cold feet, Japanese maple by Cathy. Bookmark the permalink. That maple tree does provide a wonderful splash of color in your yard, though. 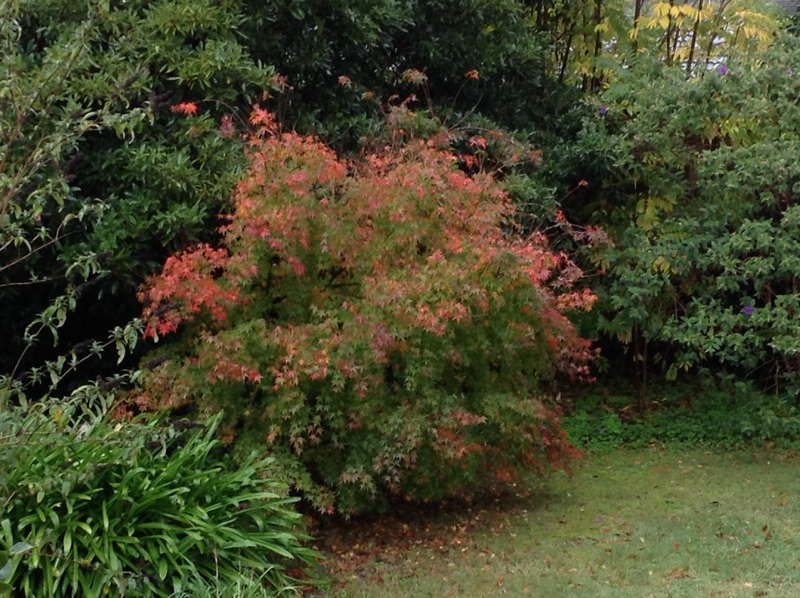 I love the Japanese Maples, and the weather has made life difficult for them lately. We haven’t had rain here in a while, and I am watering in May…unheard of! A maple tree is a wonderful thing to have. Maybe the tree, like me, thought we missed autumn this year. I keep forgetting this part of the world is in their fall season. Snap. My tree dahlias lost the race to bloom before the first frost. And there are early jonquils in bloom. I am not sure whether the garden or I am more confused. At least you have one, I would have liked one here in the yard. We have the opposite problem with our Japanese maple in Chicago. 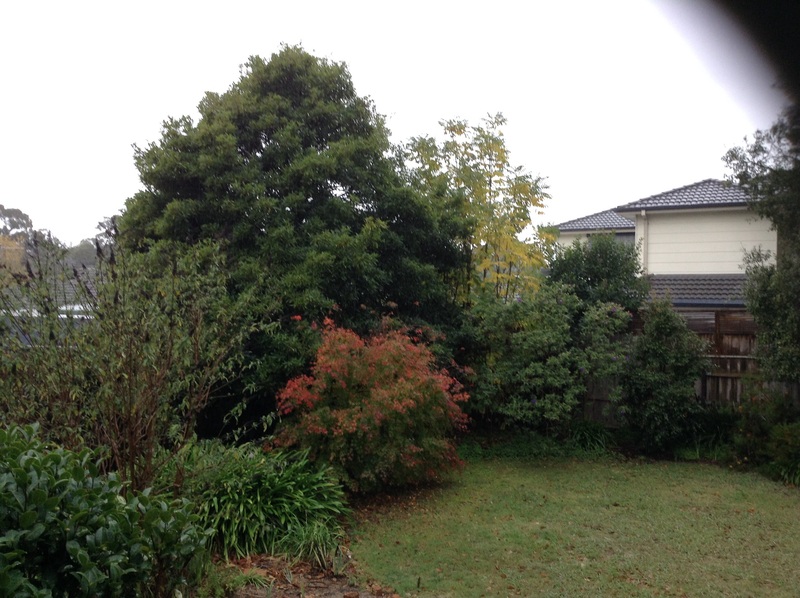 We thought it was going to stay tall and planted it too close to the house. Now it’s too overgrown! Cathy, I say Carry Be An and Carib e an. But someone one always corrects me. I also swing back and forth between erbs and Herbs. My daughter is a linguist and she always gives me a good explanation for why we pronounce words the way we do, however five minutes later, I forgot what she said. The U.S. Is so big and diverse we don’t have a uniform way of saying anything. And it’s especially bad here in D.C. because folks come and go. So glad that I came across your blog just now! I am going to enjoy reading your take on the day.